Twilighters Dream: What Would You Wear? I need your help! 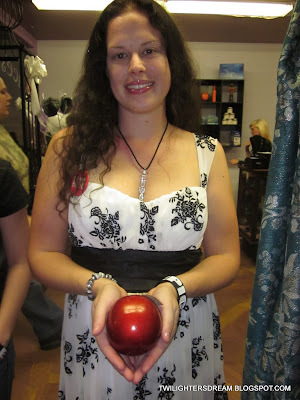 I want to enter a picture into the Volvo Contest for "What would you wear to Edward and Bella's Wedding?" I know what dress I would wear.... the White w/Black Scrolls that I wore in Forks for Bella's Bridal Shower. There are two pictures that I like that show the dress.